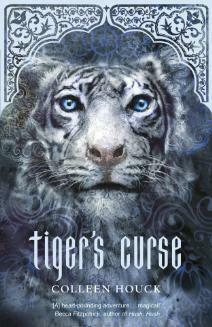 So I finally read Colleen Houck's Tiger's Curse! I had heard good things about it. Especially at RT this past year, when people were going crazy over the chance to win an ARC of book 4, so I was happy to have received a free copy of this one later on! And I even managed it in three days and it was just over 400 pages! Yay! Feels like the old days I'm telling you! Although, having finished it now, I can't truly say I loved it, but I feel I have the potential to love it! I'll explain more as I review! Kelsey Hayes just graduated high school and is looking for a summer job to save up for college. She lives with her adopted parents after hers died her freshman year in high school. I can't be sure if this was just back story buildup or if this is actually going to mean something more later on. I only just finished book 1! She goes to a temp agency and lands a job at the circus! For realses!! She does the mundane tasks, sell tickets, sell souvenirs, tend to the dogs and later she is to care for the tiger, Ren. Kelsey's story begins there. She begins to grow quite fond of this tiger who looks at her with intelligent blue eyes. Then one day a man comes to the circus and wants to buy the tiger and put him on a reserve, where he'll be free and cared for. Kelsey is offered the opportunity of a lifetime to travel with Mr. Kadam, the buyer, and see Ren safely to the conservation in India. But things go horribly awry once she touches the native country and she soon finds herself wandering lost in the jungle with the tiger, Ren. But then suddenly she sees that he is no longer a tiger. Ren's story goes way back over 300 years ago when he was cursed. We learn of his story through the prequel and some of Ren's tellings. But he comes to believe that Kelsey is the one to break his curse so that he may become man again. As it is, he can only turn into a man for 24 minutes every day. A strange arrangement and surprisingly Kelsey takes this all in stride. Sure, she has a little freakout and some questions, but not nearly as many or as big of a freakout as I would have expected, or had myself! Then begins Kelsey and Ren's journey looking for pieces of the age long puzzle that will sent Ren free. Along the way, Kelsey learns that he has a brother, Kishan, who is under the same curse as well. Their journey is fraught with many perils and dangers and yet Kelsey manages to get through it all, with help from Ren of course--which isn't much of a spoiler since we're up to book 4. Obviously the two made it through! Then there's the romance. Sparks were bound to fly between Kelsey and Ren and boy do they! Ren is a very caring and considerate person. He's wise beyond his year, obviously since he's lived for over 300. But for some reason, somewhere along the lines Kelsey gets weird. She suddenly doesn't want to be with Ren because she believes she'll get hurt in the end because Ren will find someone else. She is after all the first girl he's had contact with in 300 years. While I can understand some of her hesitation, it soon blows way out of proportion. And then of course Kishan comes into the picture and we are presented with the ill fated love triangle once again. *eye roll* Which is history repeating itself in some ways, from what we learn in the back story. But overall, the story was good. Houck is an excellent storyteller, weaving together this intricate tale set in a country far away. It was simply put, beautifully done! The scenery was rich and colorful, the history thick and nourishing...yes, strange words, but I'm grasping here trying to find words I think best describe the story! All right, today's a rant day. I can't recall if I ranted about this in particular, I know I've ranted in part about this, but it still bugs me when I see this stuff. Okay, time to come out and say it: I am really really appalled by Disney and finding Mulan merchandise in the store, yet Mulan is locked in the vault. They have sooo many things of Mulan--okay, stuffed animals, dolls, but still that's a lot when a kid has never even seen the movie!--in the store and there really isn't a way for these kids to have seen Mulan unless they happened to have the VHS or DVD from some years ago when it wasn't in the vault. 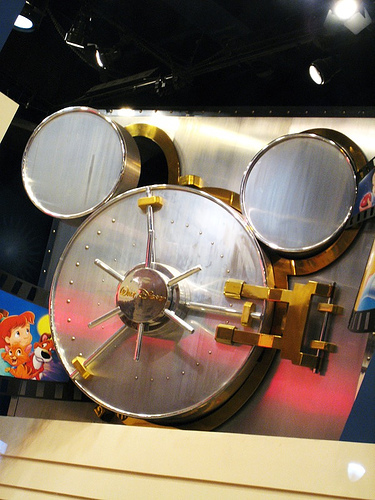 Not likely considering the kids that enter the Disney store look to be under 10! So love this movie poster too! Found it after googling and it was image one! But back to my rant...isn't this annoying to anyone else? Yes, I am a bit of Disney geek, but still I find it very irritating to see so much merchandise featuring a "Disney Princess"--why they classify Mulan as such I have no idea, Pocahontas makes sense in a vague way since she's the Chief's daughter--that cannot be seen because the movie is in the vault!! Seriously, this is like the worse vault in the history of vaults. I get it's a whole money making propaganda, but you're depriving children--and yes, adults like me!--of classic favorites. And these special edition limited time offer releases are soooo annoying! And yet they still want to sell merchandise for movies you cannot see! In the past few years, we have had Beauty and the Beast, Snow White, Sleeping Beauty, Aladdin--although that was a long while back, right?, Pocahontas, The Princess and the Frog, Tangled and Cinderella--the most recent--release from the vault or whatever and sure merchandise at that time is fine, even expected! There's sooo much Cinderella and Brave stuff out now and that makes sense! But to have merchandise from a "locked up" movie? No sense at all! And I will likely tell you all this again as it gets closer but mark your calendars Peter Pan releases from the vault February 5, 2013, it's 60th Anniversary! Huzzah!! And later in 2013 The Little Mermaid releases!! Yay! Children will finally know Ariel! Unless they really do know her by watching the old DVD or VHS. I own both DVDs but plan on buying them in Blueray, mostly because they are special editions and what not! I am total sucker for Disney re-releases from the dread Vault. Soooo cannot wait to read this one! I'm at that excited, but scared feeling since the series is nearing its end! I actually read Elizabeth Richards' Black City in two days!! Haven't had that happen since I started working in the mornings. It was quite the read too. I have only read a few reviews on this one and they have been pretty mixed. People have either loved or hated this one. And since there was quite a bit of hype around the book, it has left some other readers disappointed. I guess overall, I really did enjoy it. It wasn't as epic as I thought it would be, but it was still a very engaging and fun read! I am definitely sticking to the series. Black City itself was quite the place. Set in the future at some unknown point, we see the United (Sentry) States divided by walls. Darklings are forced on the outside and are in the worse parts of the states, while inside the walls, the city thrives. People go about their daily lives, with a few other Darklings about, mostly ones who are servants and what not. It's a very segregated time, there are hate groups and their are freedom fighters. At the head of the USS is Purian Rose who dictates all and as we will learn is enemy number one! Ash and Natalie are quite the pair, one's a Darkling--vampire--yet he's not a full blooded one, he comes from a human father and Darkling mother, making him a two-blood (I believe that's the term! It's amazing how fast my memory goes on the little details). Natalie is human and the daughter of the Emissary, a government official who's all important and whatnot! 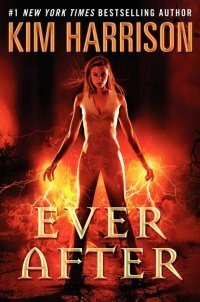 Her father was murdered a year ago by a Darkling, so she has a fear of them somewhat, yet her father was striving to bring humans and Darklings together in harmony. When Ash and Natalie first meet, there are sparks. Or more correctly, hearbeats. For some reason, Ash's heart--his still vampire heart--beats when he's near her. So we have sparks at first sight, yet thankfully there is no insta love. When Natalie starts school shortly thereafter she comes across Ash again, first there's the whole shock of seeing one another again and then the taunts begin! I was quite pleased by that! Loved Natalie and Ash's witty bantering with one another. Yet while they fought, they both still acknowledged to themselves that there was definitely something between them. So naturally they fall in love for real. Sad part was that it still only took them two weeks for this, but it was over 100 pages before that happened. But their love is forbidden, punishable by death, both of them. Yet they do their best to still be together anyway, so a little like Romeo and Juliet again. One would almost tire of this kind of love scenario, yet Elizabeth does a good job at making it her own. Of course there are other barriers besides the law that threaten to tear Ash and Natalie apart. Such as Sebastian, Natalie's guard and ex-boyfriend. He still wants her and loves her, despite his betrayal to Natalie. I truly did not like his character at all. He was a real p***k. But again, I must say kudos to Elizabeth for that! When an author can truly make you hate someone like that, you know they know their stuff! And there's not just that keeping Ash and Natalie apart, there is someone on Ash's side that threatens their relationship as well, which has an interesting back story to it. Evangeline is a two-blood like Ash, when he thought his particular kind to be dying out, and he feels a connection/spark with her as well. Would we call this a love rectangle or square since there's four ends? Paralleogram? Regardless, it was still very intriguing, because Evangeline and Sebastian both play pivotal roles in the story besides being the "other" guy/gal. The pacing was done pretty well too. A nice steady pace, I'd say. Nothing rushed, nothing drawn out. Although the last few chapters were pretty fast paced though, which was necessary! It unfortunately had a Twilight feel at that point, but I wasn't too traumatized by it! As for characters, I adored Ash. He struggles with his Darkling side and his human side, wanting to be loyal to both, especially when Natalie comes into his life. As for Natalie, she wasn't too bad. I will admit to being royally annoyed by her at a few points. She just suddenly snapped and became this big drama queen. I wouldn't call her Bella, but definitely a drama queen and not in the mopey sense either! Other than that, I did like her character. She definitely grows on you throughout the book as she grows into a stronger character. The ending, like I said, it had a Twilight feel to it, but it was still pretty awesome! And the second book's title totally makes more sense now! I will definitely be looking into that one as well! 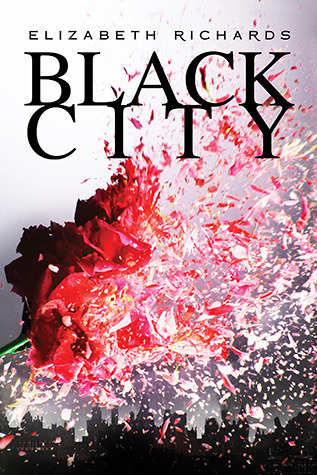 Black City--the actual city--has definitely changed over the course of the book and I look forward to seeing what more will happen there and with the people who live there.